Dictionary.com is an online dictionary and thesaurus that provides access to over 2 000 000 definitions, synonyms and antonyms. It can be accessed offline for use outside of a mobile or wireless network and provides features like audio pronunciations, voice searching and favorite word storage. 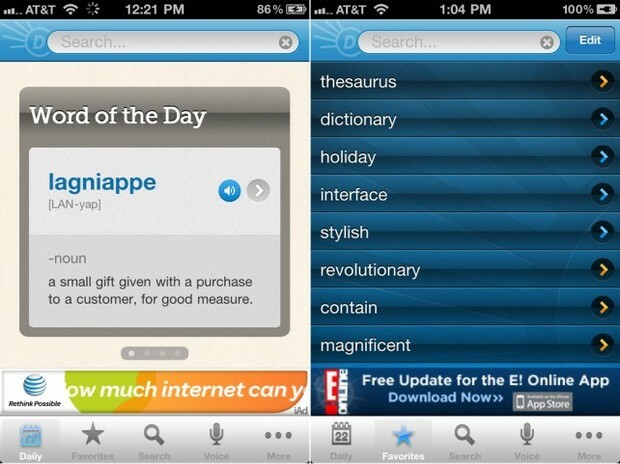 Dictionary.com would be an effective way of taking something that is already on the bookshelf in most classrooms and making it portable, accessible and up-to-date. Voice searching and audio pronunciations can reduce barriers for students and features like word-of-the-day and the thesaurus can expand students vocabulary. Students are working on creating stories using descriptive detail. In order to create engaging stories they use the thesaurus to find alternative words to describe the character's emotions. 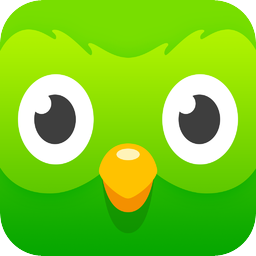 Duolingo is a language learning app that promotes daily language development at your own pace. It's progressive format allows for people to start at an appropriate level for their knowledge base and build upon that base. It's immersive style allows for associations to be made by using pictures and context for development. It is extremely likely that through the course of one's teaching career a teacher will have at least one student who is not familiar with the language of instruction. This app will allow for these students to engage in the language at a level that they can identify with to compliment the immersion into the language through the instruction given by the teacher. A new student from the Ukraine joins the grade 3 class and he has a very limited English vocabulary. 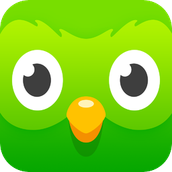 As part of the social studies curriculum on the Ukraine students will spend some time using Duolingo to learn some basic Ukrainian while the new student uses Duolingo to learn some English. 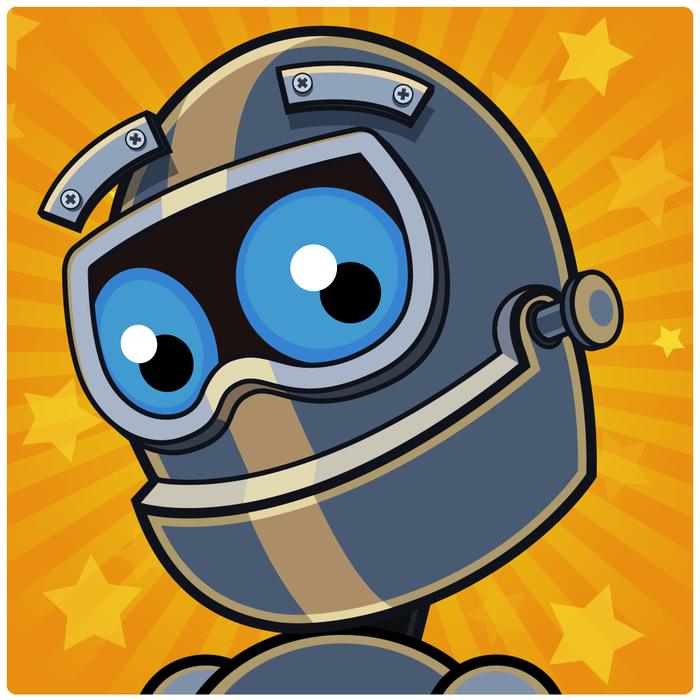 "Raz-Kids gives students access to hundreds of interactive, leveled books spanning 27 levels of difficulty, covering a wide range of subjects. 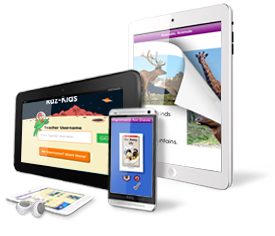 In addition to engaging kids at their reading level and in their area of interest, this award-winning website gives kids 24/7 Web access to the practice they need to become better, more confident readers. 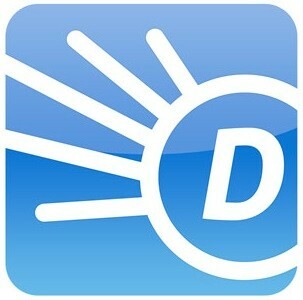 Teachers can customize assignments, view reports, and track student progress every step of the way." Raz-Kids is useful for providing material for students to develop literacy by meeting them at a level that is appropriate and engaging for them. Because teachers are able to track student progress, this would be a highly effective tool to engage learners while making sure the technology isn't just "edu-tainment". Students will use Raz-Kids for the first 10 minutes of each Monday and Wednesday's Language Arts classes in order to ensure that some of their weekly reading is at a level that matches the student's literacy skills. Taking video is an important means for action and expression, especially for visual learners. 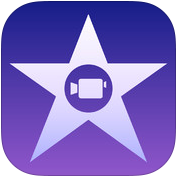 iMovie takes the raw recordings that students make and allows for it to become an expression of student understanding. 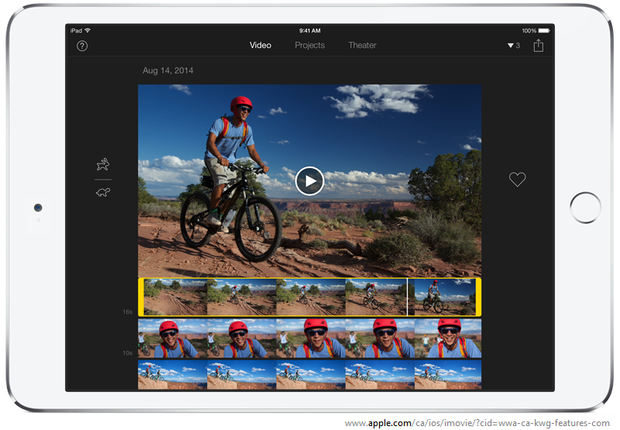 Videos are a versatile tool because they can capture a different method of expression or it can be that method itself. Although the complexity of the finished product may be more comprehensive in examples from higher grade levels, the tool is simple enough that it can be utilized anywhere from K-12. Grade 4 students use iMovie to create a video about the life of a voyageur traveling across Canada looking to settle in the uninhabited west. Paper helps you capture new ideas quickly and beautifully. It allows you to share your ideas to Mix, the open platform to discover and remix ideas from others or you can create an idea from scratch. Paper is a useful tool for digitally producing artwork through a variety of creation tools, such as pen, pencil, marker and brush. 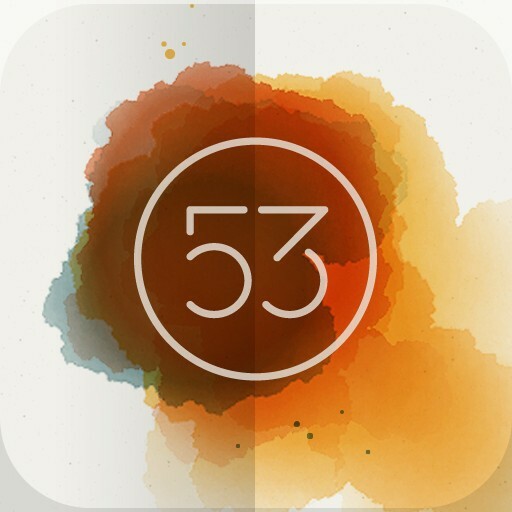 The app allows for text which can provide for multiple means of expression of the outcomes and can allow students to explain their work. The shared nature of the Mix platform enables students to easily share each others work or collaborate on an idea. A grade 4 class uses Paper to sketch the plant growth over time and label the different parts of the plant as it grows.